Bring home this soft and sweet Giraffe stuffed animal! 7 inches tall, this huggable Prime Plush features ultra soft yellow fur covered in chocolate colored spots. It's too cute to resist! 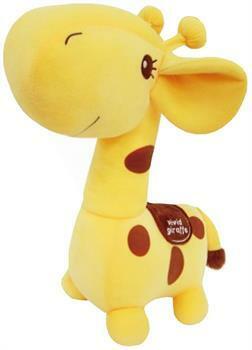 Bring home this soft and sweet Giraffe stuffed animal! Plush animal measures 7 inches tall. Huggable Prime Plush features ultra soft yellow fur covered in chocolate colored spots! It's too cute to resist!